2018 — Year of Women's Empowerment. We are not quite there yet after decades of struggle and consciousness-raising. With the passage of years perhaps we take some salutary, institutionalized changes for granted ... think voting, maternity leave. All the more reason to take note of women's achievements, women who lived in the shadows of even more constricting social conditions. Elizabeth Ilive, 'Mrs Wyndham' by Thomas Phillips, 1799, private collection of Lord Egremont. Thirdly, Elizabeth left the Earl and her established life at Petworth permanently just two years after the marriage took place. It was not unusual that the Earl would have a mistress of a lower-class status; keeping a mistress, or a series of them, was then commonplace in aristocratic circles. George Wyndham was no exception; he shared one of his mistresses with his friend the Prince of Wales. Nonetheless, it was quite unusual to marry one of them. Despite his long commitment to Elizabeth, the Earl carried on other liaisons that eventually may have caused the estrangement. Little seemed known about Elizabeth Ilive other than she clearly was not of the upper-class mould. Rumours of her humble origins swirled. 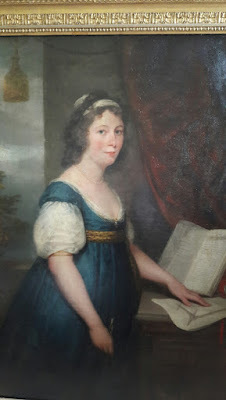 As "Mrs Wyndham" of Petworth House during her considerable tenure, Elizabeth apparently fulfilled her family and household duties but went far beyond the norm into agricultural interests and artistic patronage. Her husband did not always approve. Who was this woman? This woman who received a silver medal from the Royal Society for the encouragement of Arts, Manufacture and Commerce for her technological invention? Whose scientific curiosity led to potato cultivation? Whom William Blake, that visionary poet and artist, described as a "Mighty soul in Beauty's form"? 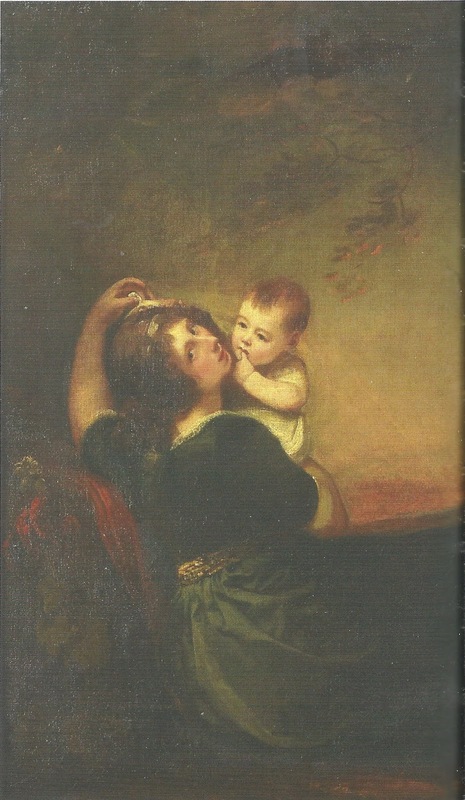 Historian Sheila Haines, lead researcher on the Petworth Emigration Project, became interested in Elizabeth as one of its peripheral, obscure figures. 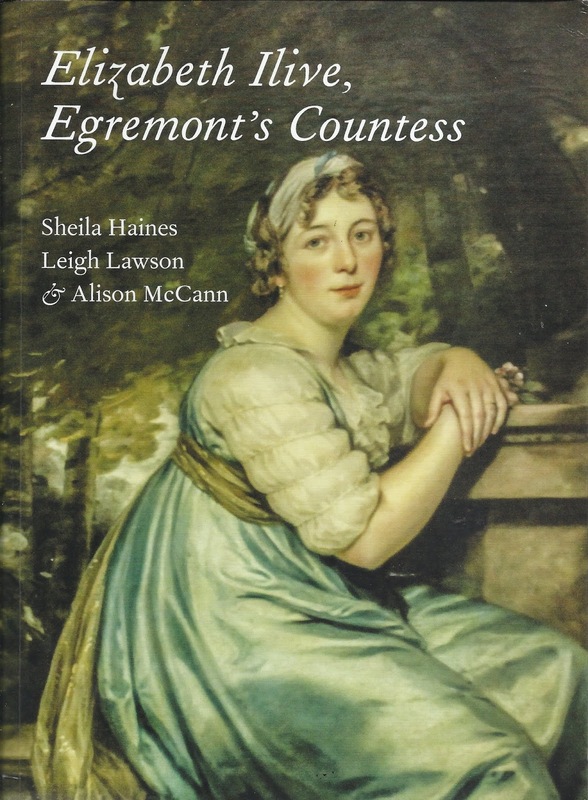 After Sheila's untimely death, her inspired colleagues took up the research: gleaning contemporary accounts, hunting down countless records (with access to Petworth House Archives), finding collateral descendants, revealing a woman almost forgotten by her own family. Elizabeth's origins and ancestors are no longer opaque. Years of hard work were turned into a remarkable book that uncovers more of Elizabeth's character and relationships (and no, the 3rd Earl has not been ignored!). Cover portrait for the book Elizabeth Ilive, Egremont's Countess is by Thomas Phillips, Elizabeth Ilive in a blue and white turban, courtesy of The National Trust. 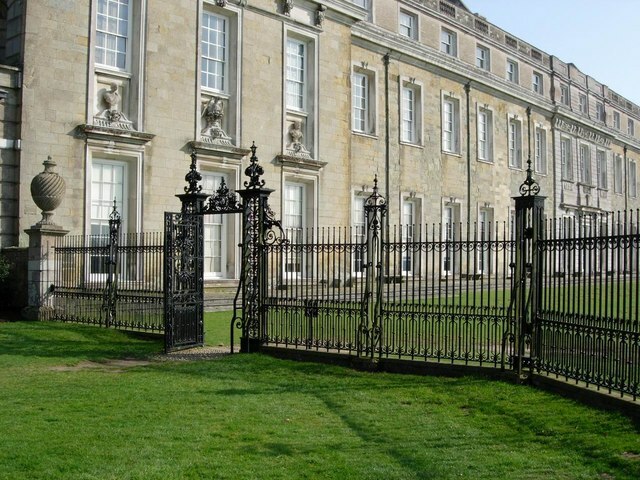 The National Trust is currently holding an exhibit at Petworth House: "Elizabeth Ilive: A Woman Ahead of her Time." Without the details and guidance provided by the book, the exhibit could not have been so thorough. The book, itself a significant achievement thanks to Haines, Lawson, and McCann, is available at Waterstones book store only in the UK. Interested North Americans can purchase through the authors: leighalisonlawson (at) gmail.com. cc-by-sa/2.0 - © Francois Thomas - geograph.org.uk/p/428734 labelled for reuse under Creative Commons license. From long before the Suffragettes to the "Time's Up" movement, women's stories are being told.